Now more than ever HELP begins at home. We need HELP! We need HELP now and we are asking You for it. Dr. Sam Horton and the 35 founding members of the Hillsborough Alliance of Black School Educators knocked down barriers and built roads in Hillsborough County that has given opportunities for so many of our educators and students in our community. We are the benefactors of their TREASURE, TIME and TALENT. This is us: classroom teachers, administrators, non-instructional personnel, and community members. We are continuing to build upon the foundation of HABSE through our Mission and Vision. We are STRONGER TOGETHER and now is the time to RENEW and REBUILD HABSE through this 2019-2020 membership drive and sponsorship campaign. Are you a member of the National Alliance of Black School Educators (NABSE)? a person who is valued for the assistance they can give. Being giving may be rooted in a kind heart, but having the ability to keep this quality comes with a rational mind--A rational mind that makes the person adept as to when to give, what to give, and to whom to give. HABSE needs our support BEFORE others will give to support us. NOTE: Platinum and Gold Membership payment will be for 2019 - 2020.
plan, schedule, or arrange when (something) should happen or be done. What is your preferred payment option? 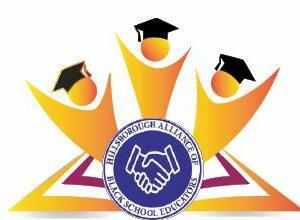 HABSE is an affiliate of the National Alliance of Black School Educators (NABSE). HABSE is committed to improving the educational achievement of African-American students. HABSE further believes in identifying and promoting those activities which are designed to sensitize the public-at-large and educators, specifically to the needs of students of African descent in academic and non-academic areas of development. 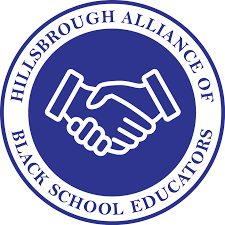 Mission: Hillsborough Alliance of Black School Educators will remove barriers that obstruct the achievement, development, and educational opportunities to prepare and support our students of African descent and educators who serve them. Vision: Empowering our black and brown students by elevating the educational and social experience through equitable opportunities. HABSE believes in social justice, education and equity for students of African descent. HABSE believes in developing leaders and influencing policy to facilitate the education of people of African descent. HABSE believes that every child should have an advocate. HABSE believes in a quality education and experiences for ALL. HABSE believes in continuing the legacy of Sam Horton’s vision. Who can we thank for your 2019-2020 membership?